Relate: Every time I read John 11:16, my mind takes me back to a camp I went to for years growing up. I don’t remember how long ago it was when I was sitting in a particular Bible lesson, the years all blend together. If I am remembering correctly, the camp had an evening Bible time that was led by a guest speaker and there was also a morning devotional time that one of the camp counselors would lead. During one of the morning times we were talking about Lazarus and when the camp counselor got to this point, in a very whiny voice, she said something like, “And here comes doubting Thomas. Come on guys. If we’re all gonna die, we might as well do it in Jerusalem.” I don’t even remember that camp counselor’s name. All I remember today is how I felt she got it completely wrong. One random judgment by her and my judgment of her is forever changed. You see, I strongly disagreed with her assessment of his statement. I did back then and I still do today. I think Thomas gets a bad rep. He didn’t happen to be there the first time the rest of the disciples saw Jesus and so he doubted them. Naturally. I wonder if Philip was away and Thomas had been there if we wouldn’t all be saying “Doubting Philip”. Or perhaps Andrew. What about James? Because Thomas had a moment of skepticism, for the last two thousand years he has been known as Doubting Thomas. Like all of us, Thomas had his highs and his lows. He had moments of great faith and he had moments of doubt. Unfortunately, it was one of those low moments that defined his character to the rest of us for the rest of time. We never know what’s going to stick. We never know what moments will define us. Nicknames are born at the most random times. Life changing moments are usually not recognized until after the fact. Am I going around judging someone based on one brief moment of weakness in their past? Are my expectations of someone lowered or tainted based on one brief poor encounter in their past? Is it hard for me to realize that other people, like myself, are still a work in progress? God, help me to have the grace to forgive, to overlook, and to truly see and value someone else the way You see and value them. Father, give me Your eyes. When I see others, help me to view them as You do. Help me to not make snap judgments based on one moment of weakness or offense. Help me to forgive. Help me to forget. Help me to look deeper and see the way Your grace is still shaping their life. Help me to understand how I could have just as easily made the same mistake had our positions been reversed. Help me to speak life and encouragement into others lives and not tag them with shame. So very well put. 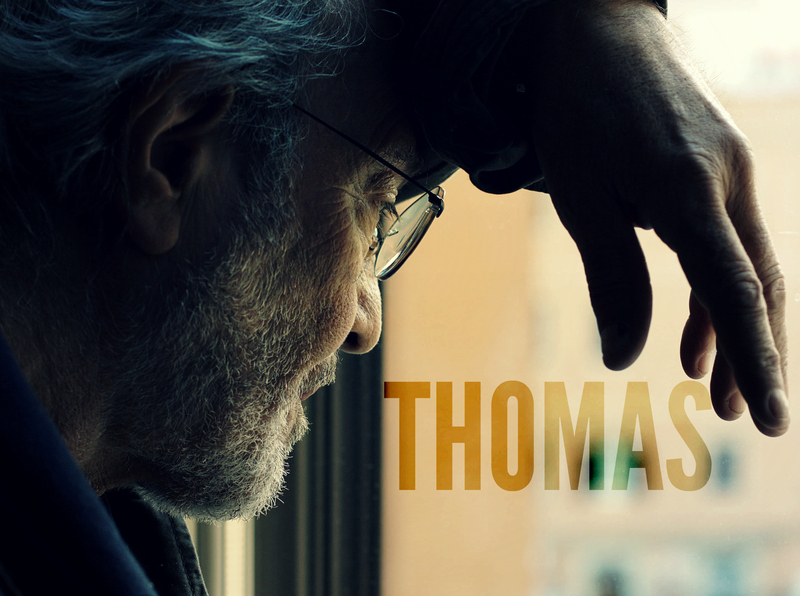 I have always found Thomas’ faith and honesty to be an example I draw strength from in my personal walk with Jesus. Many thanks! LOL, yes, I like your candid take in this one. As for this “James” – there never was a man with that name. Except, strangely, in English Bibles. You doubt the camp leader for bad judgement; I have a deep distrust in English Bibles. Too many times they got it wrong, so it is hard to know when they have got it right. The guy’s name was Yakov, or maybe Jacob would be okay,but James? Calvary? Holy GHOST? At least you will understand where I’m coming from. Poor old Yakov and Thomas. Out in the cold. Actually it would be pronounced yah-a-COVE. The problem is, his Hebrew name was hellanized in the Bible as Iakobos. The Latin transliteration of that is Iacomus. James with German pronunciation would be yeh-A-mus and whalla. James. I can’t read that, it’s Greek to me LOL. Even if it is Hebrew. How did they manage to move Gethshemane all the way to Calvary? It didn’t. Calvary is the latin for “place of the skull”. Golgotha is the greek lettering of the Aramaic word meaning “skull”. So our word comes from Latin, not a transliteration. I wonder why change the names, even in my non-English Bible it still is Golgotha. In church, they would just explain what the name meant. It would be less romantic if Istanbul had its name translated to Stan’s City or something like that. Actually, Istanbul is Greek for “in the city” or “to the city”. It wasn’t officially the name of my home until 1930 (*not* 1453 when the Turks conquered it). Sorry to burst any romantic bubbles. I haven’t looked it up but my guess on Calvary would be some combination of the fact that the RCC had all their services in Latin and virtually all protestant theologians up until at least the early 19th century were fluent in Latin as well. Calvary would be a commonly used and universally understood word in churches throughout the west whatever their language. Using a word from a different language does not change the meaning. Calvary is not a word understood in the Germanic world at all, it always sounds strange. Even in the oldest Dutch and German Bibles it is Golgotha. Maybe the English world understand it more widely. Thanks for the heads-up on Istanbul as well. Few seem to know this, but Trinity dogma was first officially introduced there in 284AD. Constantinople at that, in the big pink cathedral that now is a concert theatre. I’ve never been there, just had missionaries and other friends there. Excellent! Absolutely wonderful, and I couldn’t agree more… Actually, if anything, Thomas should be defined by THIS moment of courage and loyalty rather than his one moment of doubt. All the best to you w/blessings!